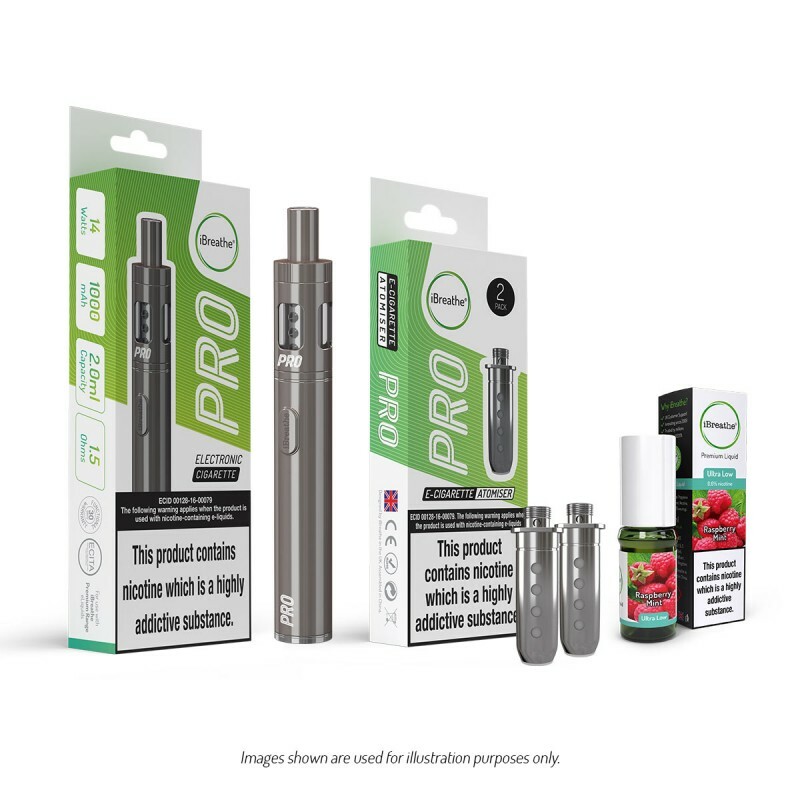 Whether you're looking for your first eCigarette or to upgrade an old one, the iBreathe Pro eCigarette is the device to choose if you don't want to compromise on build quality and performance. It offers you more in every sense of the word. *Free international delivery on all orders of £30 or more. Use Coupon Code INTDEL30 at Checkout. Please allow up to 21 days for delivery and note that there may be delays with the goods passing through your country's Customs. Free delivery within the UK on all orders with no minimum spend. Please allow 1-5 working days for delivery. *Free delivery within the UK on all orders with no minimum spend. Please allow 1-5 working days for delivery. All our products come with a 30-day functional warranty that covers manufacturing defects. Purchasers should be aware that our electronic cigarette atomisers, rechargeable batteries & chargers, although made to the highest quality, may fail or degrade over a period of time, especially if in constant use. 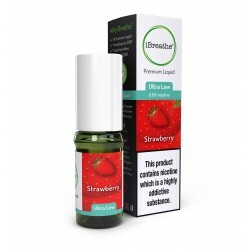 An electronic cigarette atomiser's natural lifespan is around 14-60 days and an electronic cigarette battery's expected lifespan is 2-3 months (under typical usage). The warranty does not cover faults or damage caused due to poor maintenance, misuse or accidental damage. To ensure optimal battery performance, we advise that the battery contacts are regularly cleaned. Our iBreathe electronic cigarette batteries contain micro-electronic circuitry and microprocessors. Users should store and handle these items with special care, and we advise our customers not to store their electronic cigarettes with metallic or magnetised objects, or electronic transmitting devices, such as keys and mobile phones, and to avoid extremely high or low storage temperatures. Doing so will extend their lifespan and functional use.